Prescription flea and tick preventatives are generally safer than collars. Fleas are the bane of many dogs' existence, but the wrong flea treatment can cause problems even worse than fleas. Consult your veterinarian before using any flea treatment on your puppy, as puppies are at higher risk of developing dangerous illnesses than adult dogs. Flea and tick collars are over-the-counter treatments. This means that there's not a veterinarian overseeing treatment, and increases your dog's risk of allergic reactions and other problems. 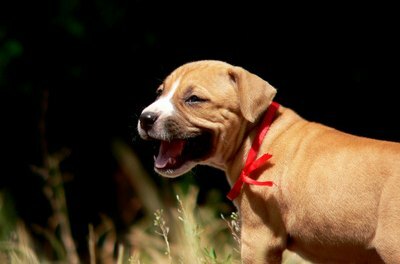 Collars might not contain the right dosage for your puppy, or may activate underlying health problems such as allergies and sensitive skin. Over-the-counter products are also less likely to thoroughly eliminate fleas. Just like humans, dogs can develop skin allergies. Flea collars contain strong pesticides and other chemicals, and are constantly rubbing up against your dog's skin. Thus allergic reactions are common. Even if your dog is not allergic to the collar, she can still develop a rash or skin irritation, particularly with prolonged use of very strong flea collars. Several organizations, including the National Resources Defense Council, have expressed concern about the toxic substances in flea collars. 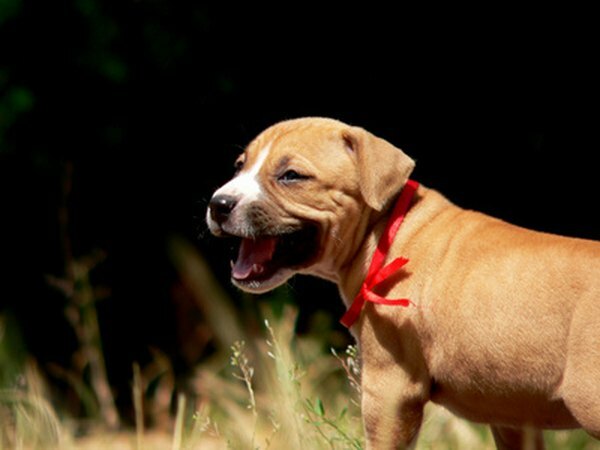 Puppies may chew on their necks and accidentally ingest poison. The toxins may also be absorbed into the skin and cause long-term health problems such as cancer, immune system reactions and organ failure. Several brands of flea collar have been recalled, and a few countries have even banned certain kinds of flea collars. Although it might be more expensive, prescription-strength treatment is significantly more effective and less likely to cause problems for your dog. Prescription medicines are adjusted according to your puppy's size and needs, and your vet is able to supervise to ensure your dog has no adverse reactions. Topical and oral medications are available that will completely eliminate fleas without harming your dog, so consult your veterinarian. Dr. Pitcairn's New Complete Guide to Natural Health for Dogs and Cats; Richard H. Pitcairn et al. How Old Should a Puppy Be to Put on a Flea Collar? How Does a Flea Collar Work for Dogs?